Right now I can see two areas that would both benefit an intern as well as TheWickerBreaker.com. One is the general maintenance of the site both visually and adding things like tags, categories, RSS feeds, and all the other thing that I've heard of but have no idea how to implement to make the site show up in more search engines. The second would be an editor/layout person. I tend to write in a very steam of conscious style which often leads to funky sentences and typos. I try to do my best at proofreading but with all the deadlines I give myself in a day I don't have time to make things perfect. Being that I don't make a dime off this site and plan to continue these challenges as a blog for the rest of my life, I hope these positions will eventually evolve into paying gigs. At least that's how it plays out in my head. 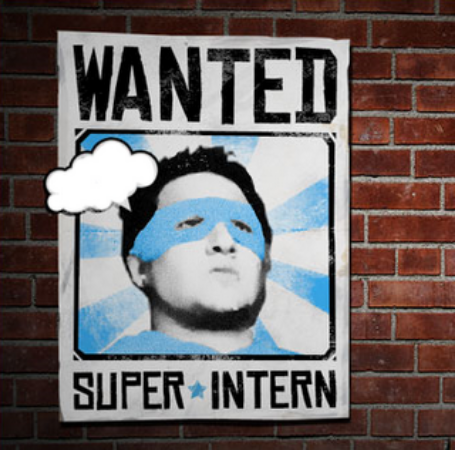 Does anyone know if I would even qualify to hire interns? I think I would have plenty of work to keep an intern busy, especially if I ever do get around to updating the appearance of this site. Being that I can't afford to pay myself, the price of free labor is definite selling point to me. All that said, I definitely don't have any type of business structure or training abilities that I'm sure must be required in order to hire an intern, so I'm just going to have to accept this resolution as a failure. Hopefully in the future I'll figure out a way to make money with what I learn from the classes I'm taking. I have a couple ideas for services and apps that may require an actual staff to pull off correctly. If I ever do get to this point I will definitely revisit this intern dream of mine and keep you posted on how it works out. Until then, I continue to work alone.